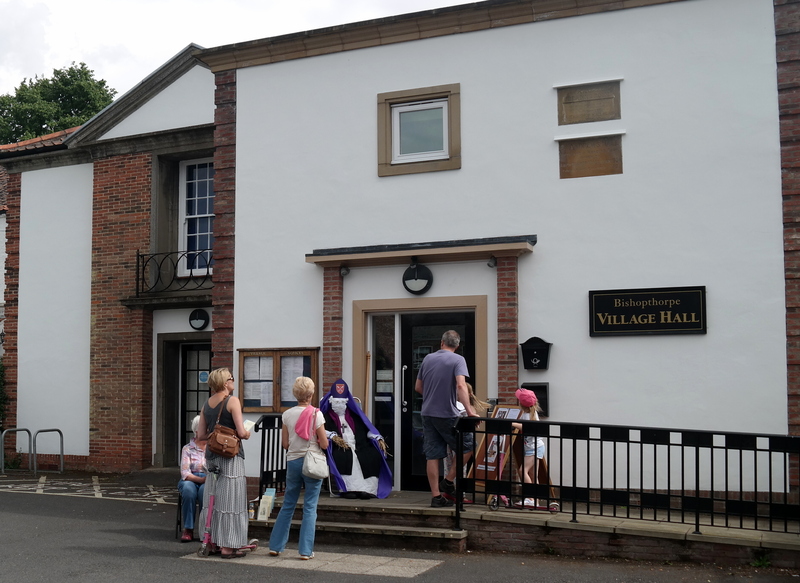 The sun shone and the village buzzed with activity last weekend. 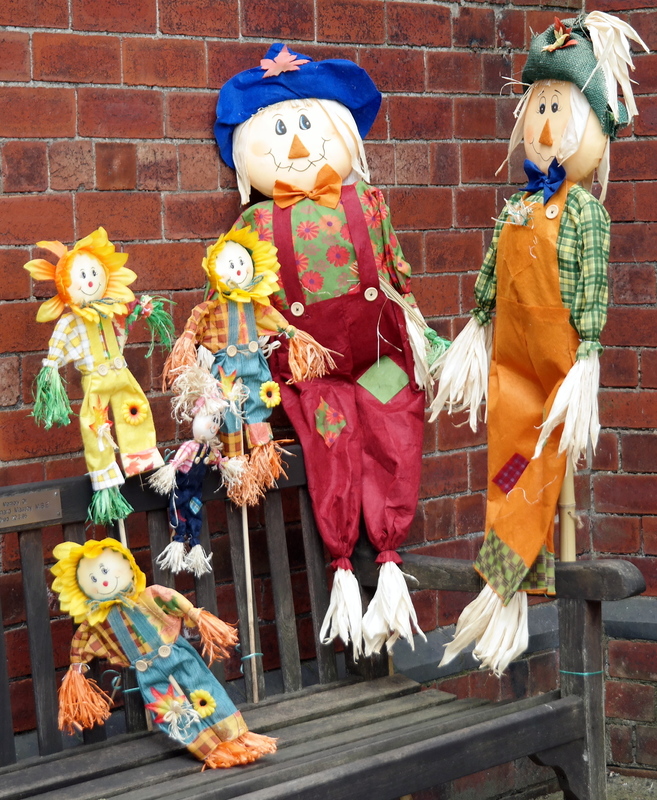 The Junior School’s second Scarecrow Festival was a great success with numerous visitors and villagers thoroughly enjoying themselves meeting a variety of excellent scarecrows. 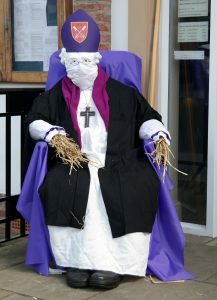 There were 77 scarecrows in all, spread throughout the parish. Mums, dads, grandparents and children biked, walked and scootered round the village, many following one or more of the quiz-based trails prepared by the school. 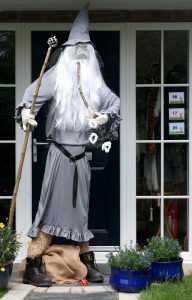 Some people claimed to have seen them all, but it took both days to achieve this! 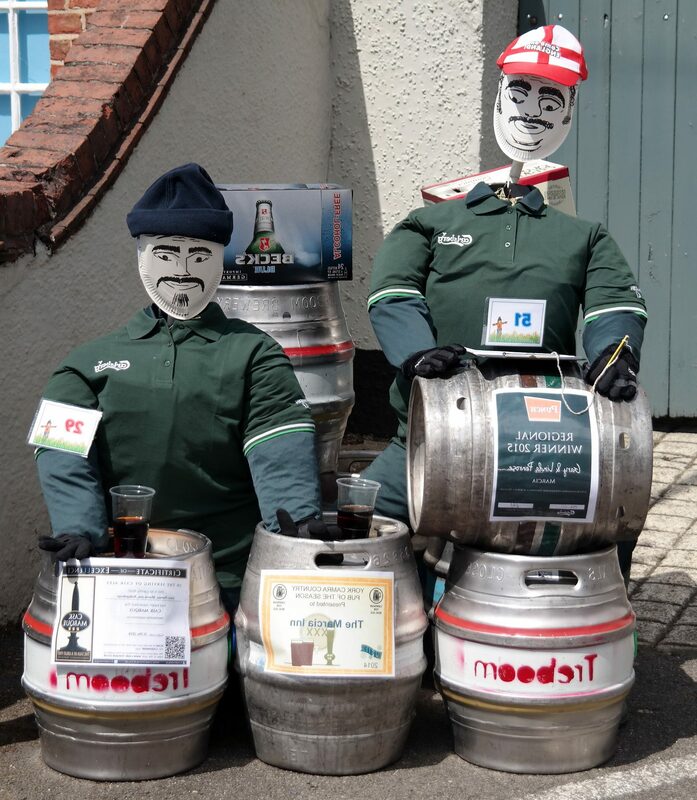 Everyone agreed that it had been a great community effort and loads of fun. Celebrating her 90th birthday, the Queen calls in to Delicacy in Acaster Lane for a bacon buttie. Here is a selection of just a few of the many fabulous scarecrows. 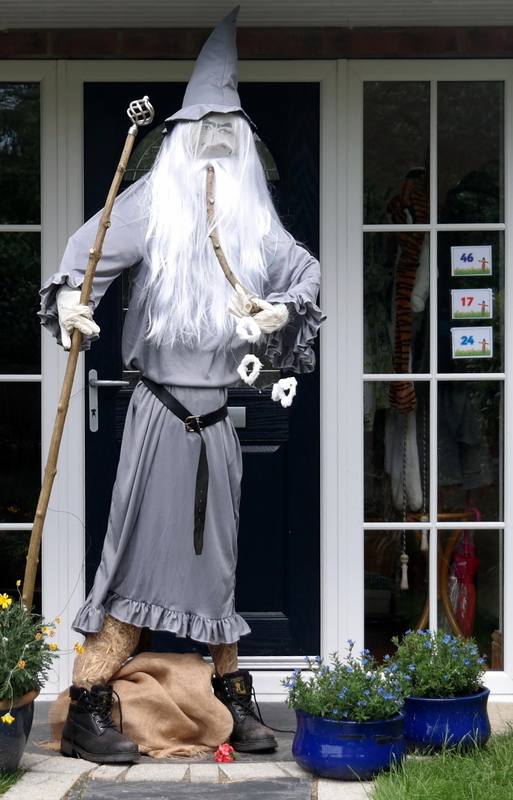 Not sure if this terrific wizard in Copmanthorpe Lane is Gandalf? 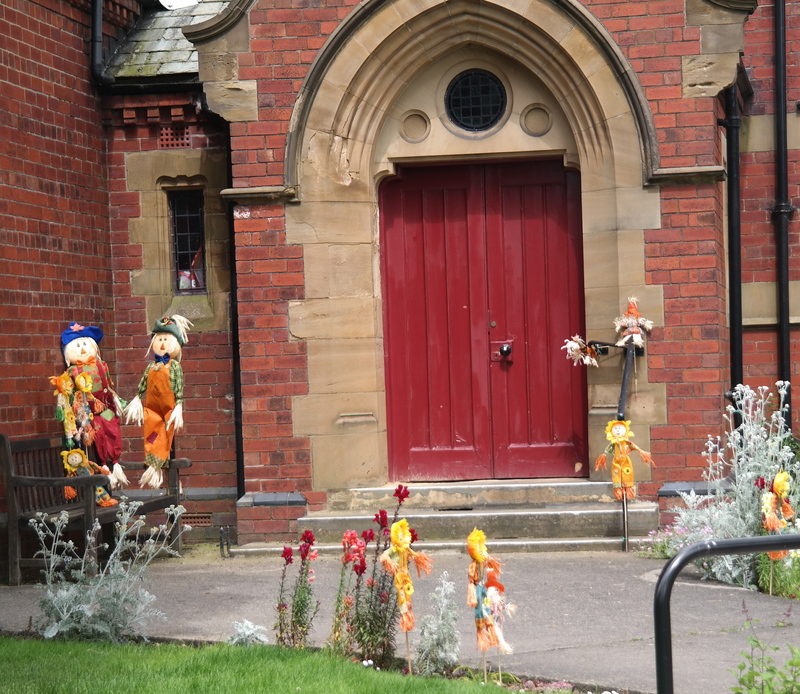 Strange flowers sprouted outside the Methodist Chapel. 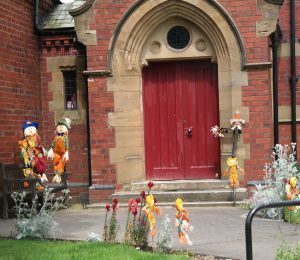 A close-up reveals scarecrow gardeners and sunflowers outside the Methodist Chapel. 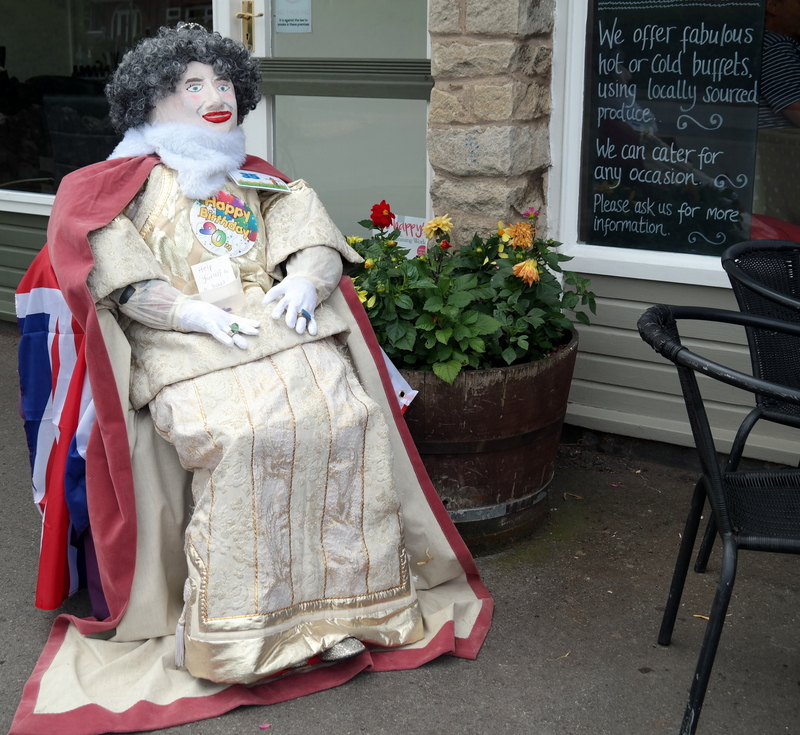 A full English was on offer at Bracken Lodge in Main Street. Bed with Breakfast to follow in Main Street. This fisherman outside the Chippy looked remarkably like Prince Phillip! 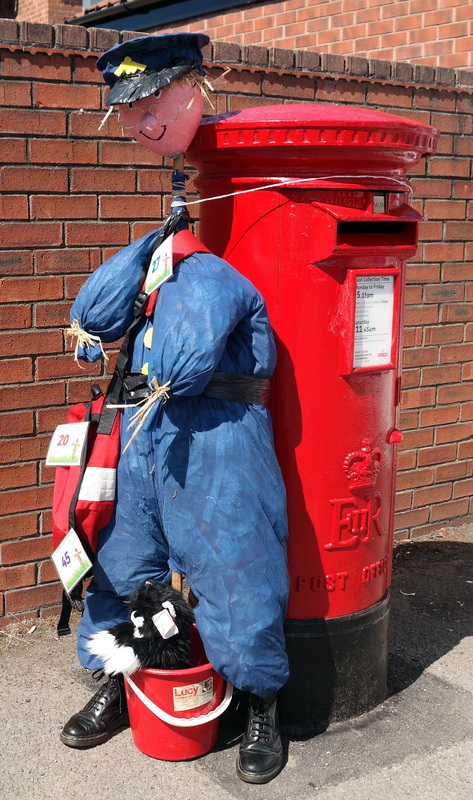 Postman Pat and cat appropriately enough outside the Post Office. 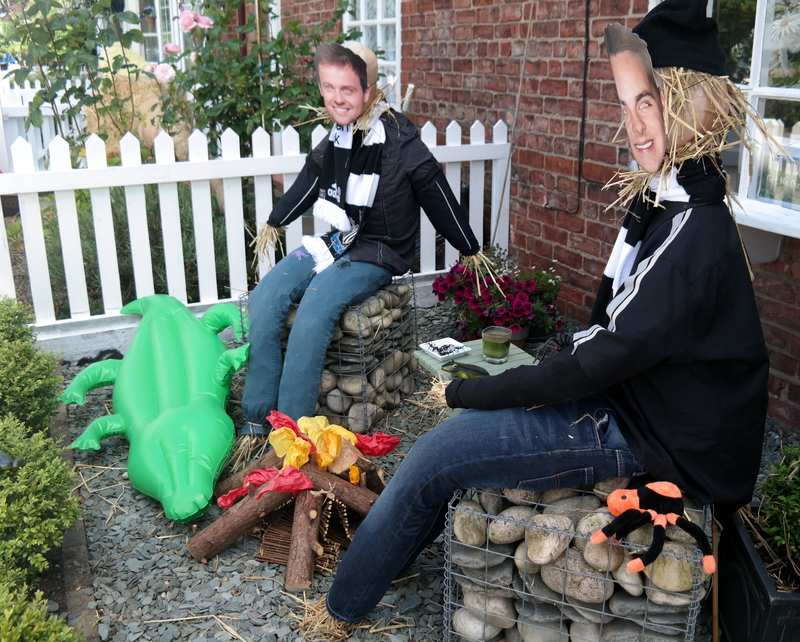 In Church Lane, Ant & Dec had platefuls of spiders and assorted beasties. 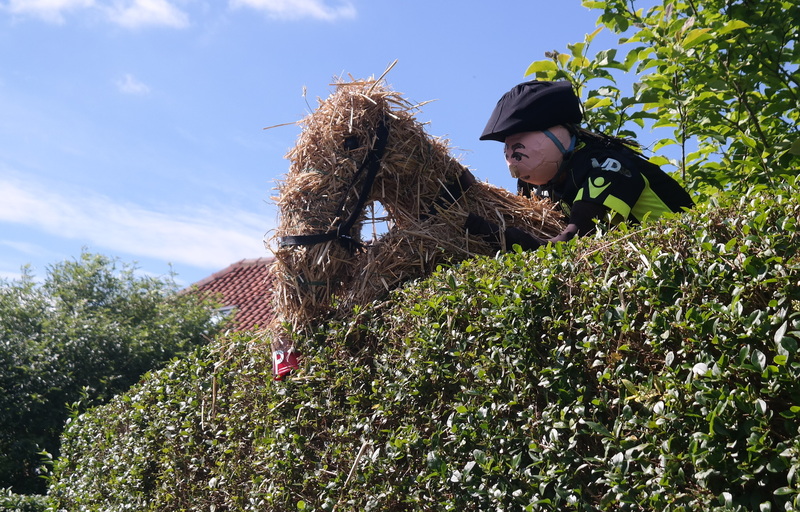 A great horse and jockey scaling an enormous hedge in Copmanthorpe Lane. 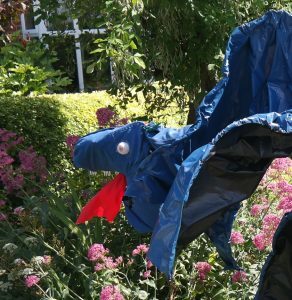 A fierce dragon in Church Lane. 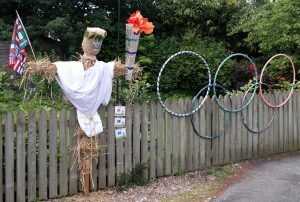 In Croft Court, a reminder of the forthcoming Olympic Games in Rio. The baker selling ciabatta outside the Co-op. 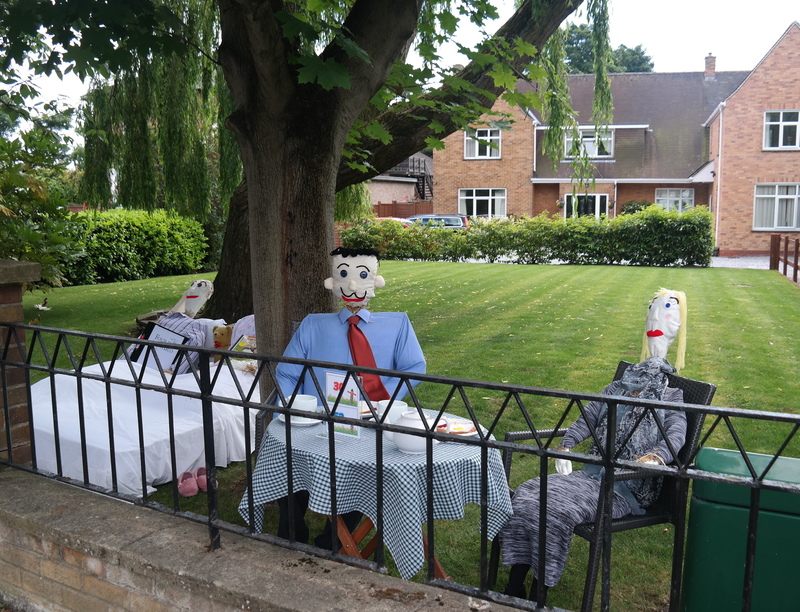 Following months of preparation and hard work, the Bishopthorpe Junior School Scarecrow Festival is upon us! 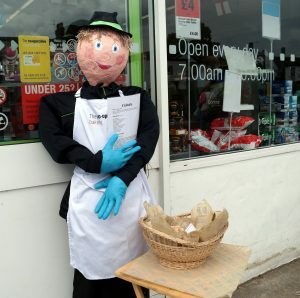 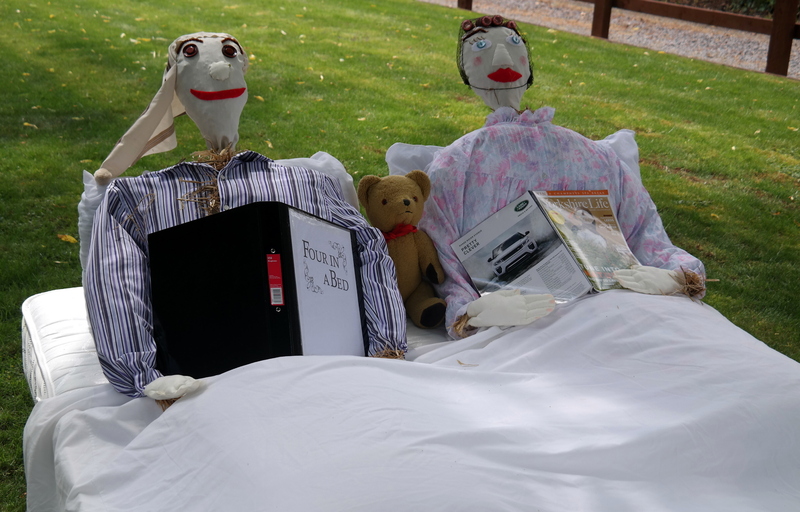 Many families, groups, local societies and businesses have been busy making scarecrows of various character to display outside their homes or shops. 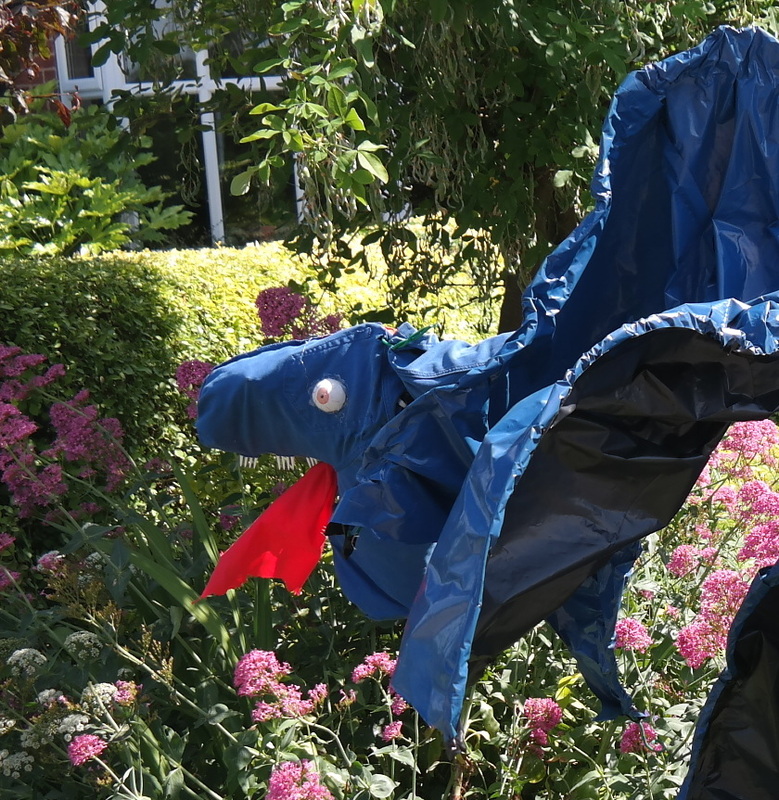 There will be a great festive atmosphere and loads of fun to be found at the Junior School. 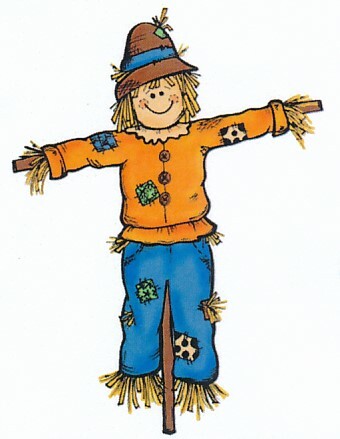 Not only will scarecrows be on show, there will also be a bouncy slide, games, face painting, and refreshments. 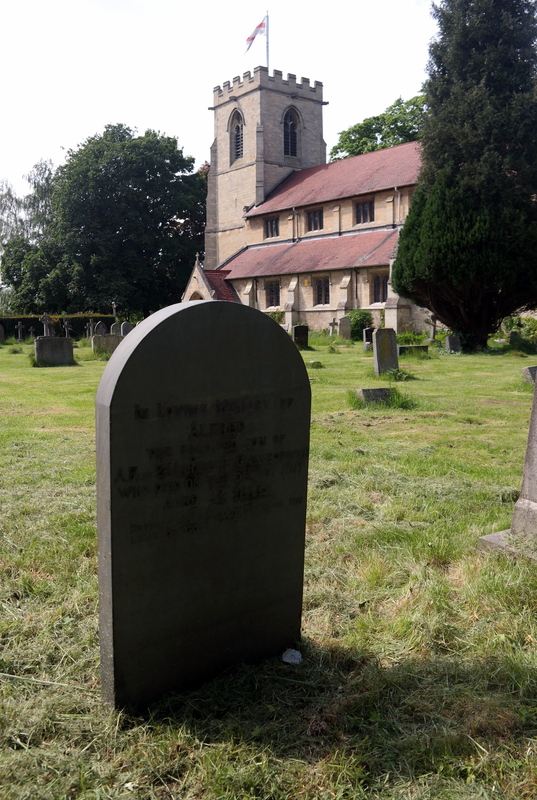 To guide you round the village to view the scarecrows, the School has prepared 3 trails of varying length. The trails, which include quizzes, cost £2 each and will be on sale at the school. All proceeds made at this event will go towards the creation of a new outdoor reflection zone at the school. 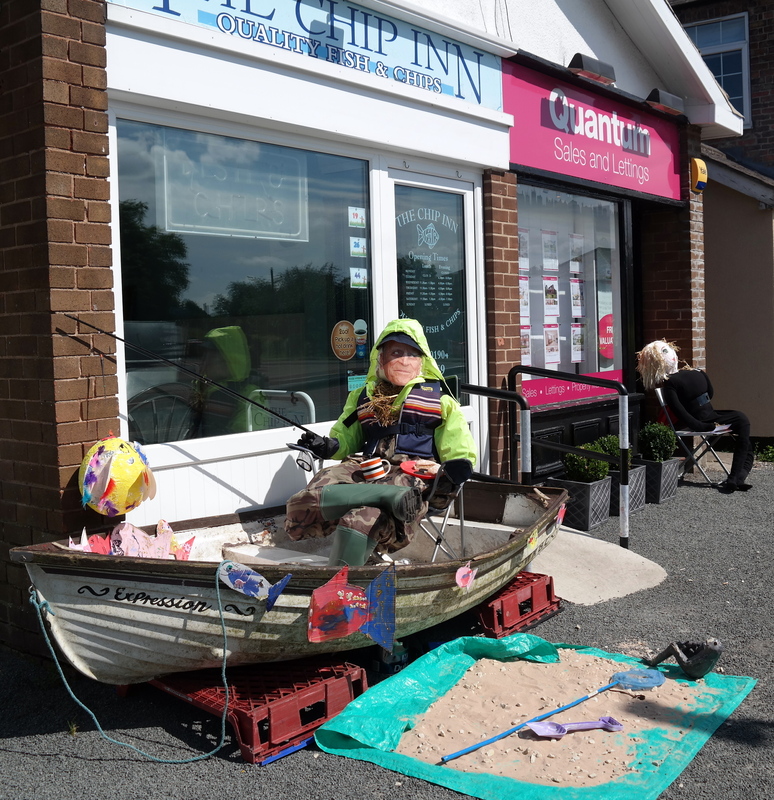 The Scarecrow Festival takes place on Saturday 25 and Sunday 26 June from 10.00 to 4.00 on both days.